Although user experience (UX) may be defined by some as a “soft art” because it has to do with humans, art, design, feelings, and nuances, there is a lot that can be improved by quantitative methods of research and analysis. UX, as the concept of improving the interaction between the user and a product or service, tries to understand how the user thinks, behaves or feels in order to provide a better experience and generate engagement. Many methods have been used to contribute to UX designers’ insights, such as online surveys or polls, screen recording softwares and online metrics (like the number of clicks). However, when it comes to producing valuable knowledge in the field of UX, an important question lies even before user engagement as we see it on our screen: how is the user feeling? Is the interaction between user and software positive? Is it effective to measure that? Have you ever thought about how biased some measurements might be? Consider that the user has interacted with your software for about one hour, and in the last 15 minutes your software presented a series of bugs, errors and the user got quite annoyed. If the invitation for a satisfaction survey pops up by the end of this interaction, how do you think the user would react? Would that answer be fair, considering the amount of time in which he had a positive experience? Using that kind of scalable method indeed help you to achieve a great number of people all over the globe. However, those methods do not tell us exactly where your product fails to deliver joy and how it could be improved. And that is exactly why UX methods of analysis are tricky, as user engagement is mostly defined by how people feel and behave, it is hard to quantify emotions and behaviors in order to provide measurable, exact results in the field. The most common instruments are prone to lead you to inaccurate conclusions. That is how in loco research methods can help you. Once psychology is the field that studies emotions and behaviors, nothing seems fairer than borrowing some of its methods of analysis in order to create accurate valuable UX research. That’s why I suggest two psychological instruments that will help you quantify user engagement in a more detailed and quantitative way. Those instruments are commonly used in empirical psychological research (in loco), as they provide exact data about people’s emotions. Galvanic Skin Response is basically a sensor that measures the variation of the skin conductance in micro-Siemens (uS) or micro-Mho (uM). In other words, it tells us how much the skins conducts electricity. Although it might seem completely unrelated to the user’s feelings, it provides exactly the data we need. Let me break it down to you: Human’s attentional system as well as emotional system are both linked to our external organs by what we call autonomic nervous system (Thayer & Lane, 2009). So when we focus our attention in an specific stimulus, we change our physiology by shifting towards a sympathetic activation, making our mind more active. Arousal (the measure of the mind and body activation) is commonly described in literature as a measure engagement (Kahneman, 1973). This is due to the fact that when something catches our attention (either in a negative or positive way) our bodies get active. It means that your organs start preparing themselves to fight-or-flight. In this physiological change, our sweat glands increase their activity, making skin conductance rise as well, thus providing us with variations in the galvanic skin response. This is an example of information obtained by a GSR monitoring device. So let’s say we are testing the usability of our software and we make our subject complete an specific task on the platform. When we see that we had an increase in the skin response by the second #25, we can question what exactly happened at that moment. That activation could mean that the user had a positive experience (like a nice feedback screen telling him that he was successfull in logging in) or a bad experience (like seeing ERROR #404 on the screen). That is why is crucial to combine GSR monitoring with other quali methods, like screen recording or valence scales. (If you are curious about how this exactly works, you can check Paul Ekman‘s classic work about emotions, as well as Thayer & Lane magnificent work about the brain-body connection). 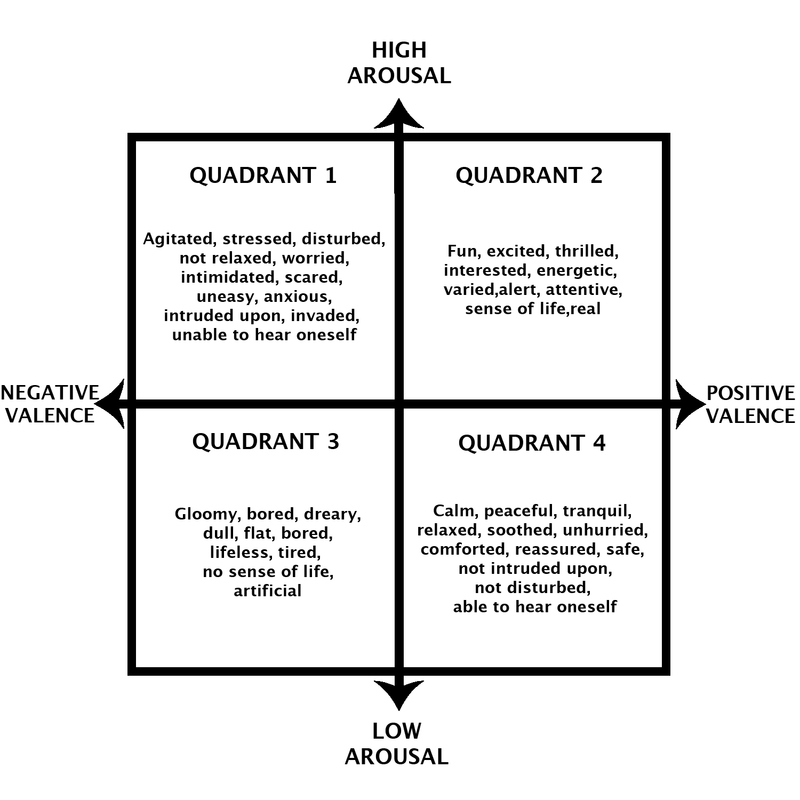 Once we have our arousal measurements, we want to make sure that this physiological change is related to either a positive or negative experience. In order to do that, psychologists combine the GSR results with valence scales, that basically classify the arousal between stimuli to be avoided and stimuli to be reinforced. Valence scales can be applied with pen and paper, but that might not be helpful depending on the experimental environment. 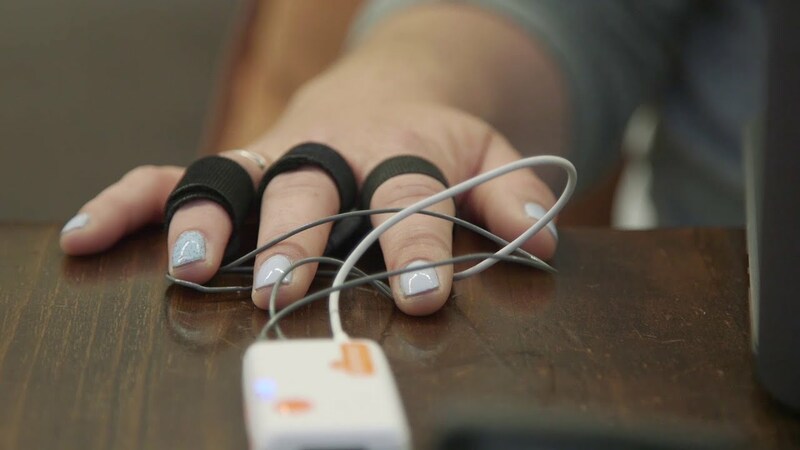 If your participant is doing another task, the ideal is that you do it orally as you realize that significant variations in skin conductance have occured. One of the most common ways to do that is asking “In a scale from 1 to 10, how positive do you feel right now, being 10 very positive (such as happy or joyful) and 1 very negative (such as angry or scared)?”. By matching those instruments together we can monitor user experience during the interaction without making uncertain assumptions about people perceptions and reactions. We can even get the intensity of the feelings with the GSR data. Maybe, in the near future, UX will become a field of study as replicable as any other well done science. Using accurate methods of analysis is certainly one of the main milestones for that. I hope you are now convinced that a high dose of psychological instruments help you improve your product by understanding how your user feels. Want to know more about how Contentools can help improve your business? Check our latests articles on Artificial Intelligence in MKT: 5 tools at hand now! and How to write great content using sensory marketing in your favor.